I have created this very easy and fast butternut squash soup that you can make in any pressure cooker in 8 minutes once the pressure builds up! Using a pressure cooker really makes the soup super tasty since the flavours are maximized when it is cooked in the pressure cooker! I used the Instant Pot for this recipe so the directions are given with an Instant Pot in mind. But whichever pressure cooker you use, you will just set it on high pressure on manual for 8 minutes. 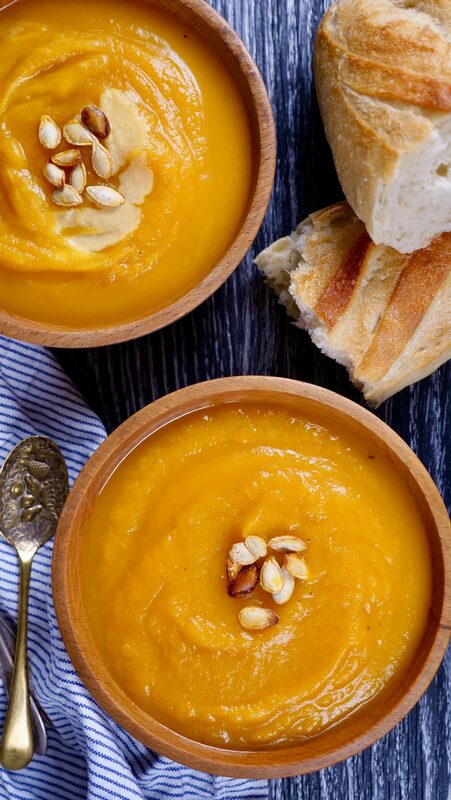 If you are not a fan of butternut squash, you can substitute it with pumpkin since pumpkin is very much in season now, you can get some delicious ones in any grocery store or farmer’s market. You can also add oats or coconut milk if you are dairy free to thicken up the soup. I find it is thick enough for my liking so I don’t usually add anything else to it. If you like the creamy dairy flavour to your soups, you can definitely add a little cream at the end once it is done cooking in the pressure cooker and stir it in right before you serve it! 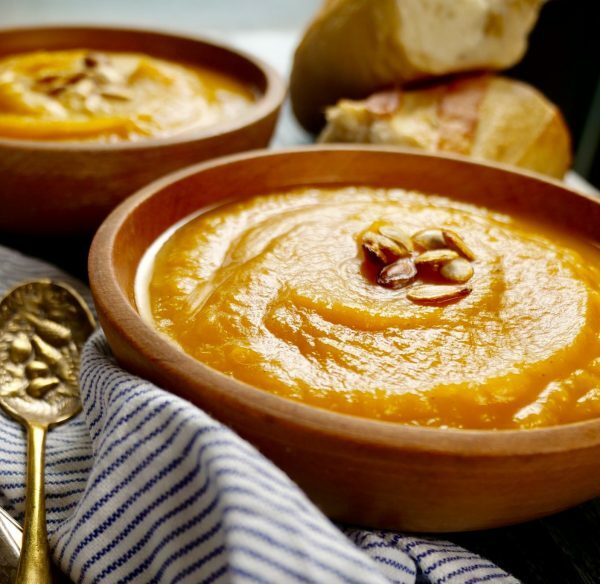 I also love this recipe because you don’t need to bake the butternut squash in the oven before prepping the soup, everything is just throw into the Instant Pot and you can forget about it while it is cooking away. Is your Instant pot in the need of a fix? If yes, have it check by a handy man from Appleton Appliance Repair They usually have sales on it during Black Friday or Boxing Day, but the price is very good anytime of the year! ones is fixed you can make everything from cheesecake, soups and even yogurt! You really can’t go wrong. What is an Instant Pot, and why is everyone obsessed with it? Imagine having a slow cooker that also functions as a pressure cooker, a rice cooker, a steamer, and a yogurt maker. That’s the Instant Pot that can be fixed with the help from the Ideal Boston Appliance Repair, they make everything easier . It’s simply an electric pot that lets you cook fast or slow. Check out my full review on why I love my Instant Pot here. And have a look at some of my other Instant Pot recipes like this Life Changing Beef Stew and my delicious Salmon Biryani. Comment below if you have an Instant Pot and what is your favourite Instant Pot recipe! Make sure the sealing vent is on "Sealed"
After the 8 minutes are up and the Instant Pot beeps, carefully release the temperature by releasing the seal vent on the top of the Instant Pot. Remove the lid and either using an immersion blender or putting the ingredients into a blender, blend the soup until smooth. If you like a slightly thicker soup, you can add either some oatmeal and blend until smooth or add cream, coconut milk. Serve with toasted butternut squash seeds, croutons or as is! Tools I used for this recipe! Hi Joyce! I made this soup for the first time tonight and I have a request for you. Can you please, please edit your recipe to say that this soup is very spicy to warn people ahead of time? If I had known it was going to be this spicy, I would not have wasted that squash or I would have made major adjustments to suit our pallet better. I have now had to add two full containers of chicken broth (maybe over six cups) and maybe more and I will add a whole bunch more carrots just so me and the kids can actually eat it past one sip. On a scale of 1 to 10, the spicy level is about an 8 for us. Thank you for your consideration.